Green City Waste & Recycling offers a full range of container options and customizable service schedules to meet your waste collection needs. 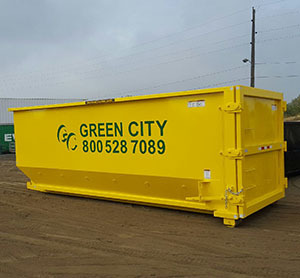 Whether you are a construction company in need of an open top roll off container, or a business requiring a smaller dumpster with scheduled service, Green City Waste & Recycling has the container for you. We can even customize your dumpster by adding rolling casters, locks and plastic lids. 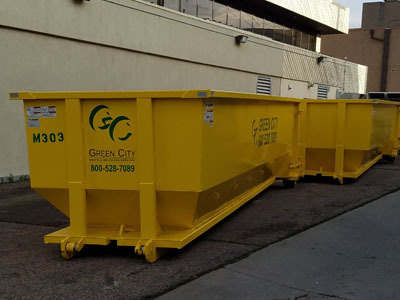 Our dumpsters, small containers and compactors are all constructed of heavy-gauge steel, which resists rust and leaks, reduces fire hazards and aids in pest control. If a problem does arise with your container, Green City Waste & Recycling Container Swap program ensures that your dumpster or other container will be cleaned, repaired and/or replaced immediately when necessary. 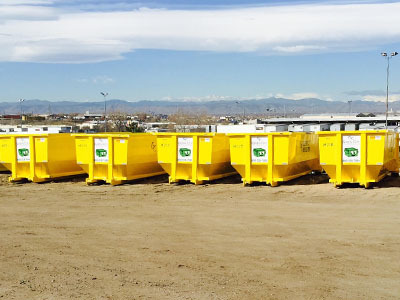 Are you looking to rent a Recycling Bin near the Denver Colorado area? Contact us!